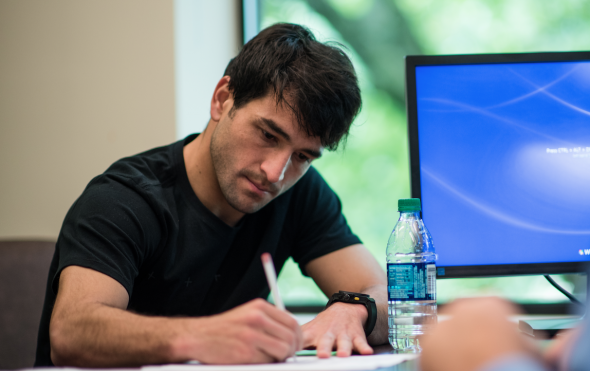 One day after jettisoning head coach Sigi Schmid, the Sounders culminated months of work by signing 27-year-old Uruguayan midfielder Nicolás Lodeiro. The Sounders Wednesday signed 27-year-old midfielder Nicolás Lodeiro as the club’s newest Designated Player (DP). The Uruguayan international spent the past two seasons with Argentine powerhouse Boca Juniors and has more than a decade of international experience in South America and Europe. Lodeiro also has played in two FIFA World Cup tournaments with the Uruguay National Team. “We have doggedly pursued our top target, Nicolás Lodeiro, for the past several months and we are delighted our persistence finally paid off with his signing,” said Sounders GM/President Garth Lagerwey in a statement. “Wherever he has played he has made his team better. We believe he can be a big piece of where we want to take the Sounders long-term. Most recently, Lodeiro represented Uruguay at the Copa America Centenario this summer in the United States. He will be added to Sounders roster pending receipt of his P-1 visa and international transfer clearance. After coming up through the youth system of Uruguayan club Nacional, Lodeiro made his pro debut at 18 in 2007. He went on to make 43 appearances over three seasons, scoring nine goals and helping his hometown team to the 2008-09 Copa Libertadores semifinals. Lodeiro then moved to Dutch club Ajax, joining countryman Luis Suárez. There, he appeared 21 times for the Amsterdam power, helping the club to its 31st Eredivisie title. In July 2012, Lodeiro moved back to South America, joining Botafogo in the Brazilian top flight for three seasons and leading the Rio de Janeiro-based club to its first Copa Libertadores appearance in 18 years. After moving to Corinthians for one season, Lodeiro signed with the Boca Juniors in 2015. He made 21 appearances with three goals, leading los Xeneizes to the Argentine Primera División title and a Round of 16 appearance at the Copa Libertadores. Lodeiro had three goals in nine appearances this season for Boca Juniors, with the club tied for 10th place on 20 points (5-5-6). Lodeiro has 48 caps and three goals with the Uruguay National Team, all since 2010. He appeared in both the 2010 and 2014 FIFA World Cups, as well as the 2012 Olympic Games in London. Lodeiro led Uruguay to the 2011 Copa America championship with a win in the final over Paraguay. After a three-match road swing across all competitions, the Sounders end July with a full-stadium contest at 1 p.m. Sunday at CenturyLink Field against the Los Angeles Galaxy.